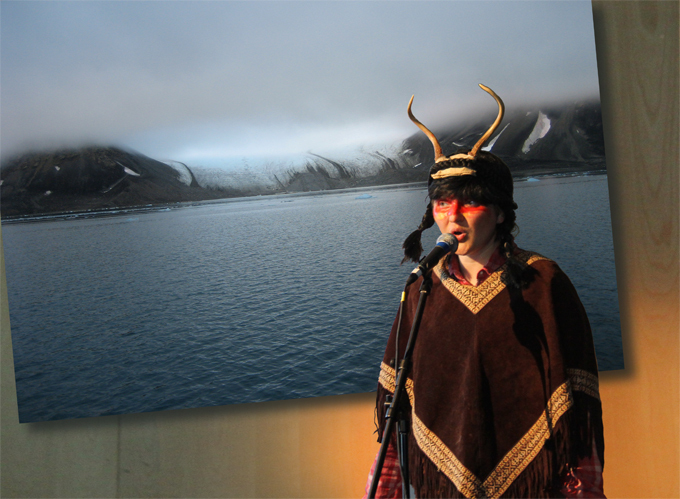 This musical performance poetically—and urgently—addresses our global climate crisis. Staged as a live documentary, This Clement World interweaves footage of the artist on an Arctic expedition with avant-folk opera and storytelling by three fictional tour guides for an imaginary exhibit conveying the wonders of our currently clement world: the ghost of a Native American woman of the Cheyenne, an alien observer from outer space, and a child from the not-so-distant future. 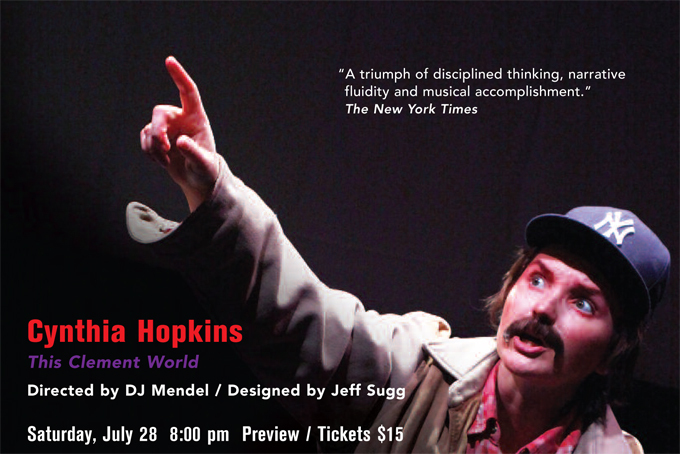 Internationally acclaimed artist Cynthia Hopkins writes and sings songs, records albums, and creates groundbreaking multi-media performances that intertwine truth and fiction, blurring the lines between edification and entertainment. This Clement World will premiere this winter at St. Ann’s Warehouse in Brooklyn, NY; Walker Art Center in Minneapolis, MN; and Les Subsistances in Lyon, France. Cynthia Hopkins This Clement World is inspired in part by a December 2009 Tipping Point Conference at Columbia's Earth Institute, and a September 2010 Arctic Expedition with Cape Farewell. The creation of This Clement World is made possible by the generous support of the Jerome Foundation, the MAP Fund; individual donors including Eleanor Alper, Warren Habib, Adam and Diane Max, and Jony Perez; and residencies provided by Acadia Summer Arts Program, Yaddo, and The MacDowell Colony.